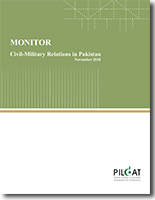 With the belief that state of civil-military relations in Pakistan is the single most important factor upon which the quality of democracy in Pakistan depends, PILDAT began its work in the area in 2004. Other than 4 direct interventions by the military since Pakistan’s independence in 1947, successive military commanders have exercised de-facto authority on crucial aspects of national security management including regional and international affairs. 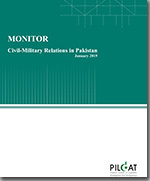 PILDAT initiated its work to improve the prevailing strained civil-military relations in Pakistan as a part of the effort to move the country towards full democracy and improve the overall governance. PILDAT initiatives since 2004 have focussed on enhancing the understanding of both the civil and the military minds about the need for an agreed set of norms to conduct the affairs of the State according to the Constitution and global conventions of democratic governance. 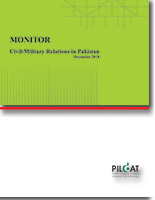 PILDAT’s work in this flagship area of our focus has ranged from undertaking research and study in issues relating to civil-military relations in Pakistan and cataloguing the best strategies and practices to improve civil-military relations in other countries which similar transitions to democracies after prolonged military rules. Facilitating the formation of a Dialogue Group on Civil-Military Relations, PILDAT has continued to promote and facilitate civil-military dialogue process. 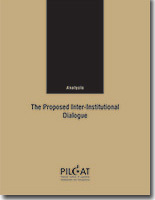 International Conferences and regional dialogues on the subject have also been a key plank of PILDAT’s initiative. 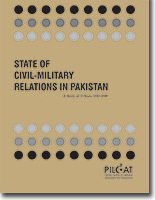 The key outcome of PILDAT’s focus has been defining and creation of space for credible, fact-based and non-emotive discussion on the issues affecting civil military relations and to facilitate a conversation in the public domain that the civil-military equation as experienced in Pakistan are deterimental to Pakistan’s journey towards democratic consolidation. Working closely with Parliament and key Parliamentary Committees, PILDAT has facilitated their understanding and strengthened capacities to understand and fulfil the demands of democratic and parliamentary oversight of defence in Pakistan. PILDAT has also continued to focus on political parties to develop cogent policies and proposals on defence and national security some of which have resulted in required institutional reforms. 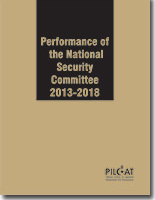 Periodic review of performance of relevant national institutions such as the National Security Committee as well as relevant Parliamentary Committees towards an effective discharge of their responsibilities. 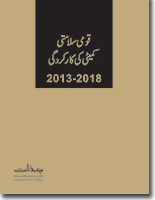 Translation from English to Urdu of Book titled "Making intelligence accountable: legal standards and best practices for oversight of intelligence agencies "